Other than books themselves I really don't. It's not that I don't want to own more bookish stuff it's just that it doesn't seem to happen. I plan on turning one of the bedrooms in my house into a reading room and then the collection of all things bookish will be ON! This week's book is The Naked Eye by Iris Johansen and Roy Johansen. I've been wanting to read a book by Iris Johansen for awhile so when a chance to participate in a book tour for her newest release I couldn't pass it up and I'm really glad I didn't! The review for this one will be up Monday but I've really enjoyed it so far and can't wait to see how it wraps up! She was floating, floating in a pool of blood. No, now it had become a river of blood. Well that's upbeat! No seriously that's quite a beginning. Given the change from pool to river I'm guessing this is a dream. If not the "she" in question is in serious trouble. Never mind the plastic tub and jugs of hydrochloric acid that were waiting in the cellar for her, Colby thought. Well Colby sounds like bunches of fun. I think upon meeting someone for the first time your first question should be - do you have a basement? followed quickly by - "is it filled with jugs of hydrocholoric acid" because if the answer is yes you should avoid them. So what do you think? Keep reading? Should you avoid people with jugs of hydrocholoric acid stashed in their cellar? Once again I'm participating in Beyond the Books hosted by KissinBlueKaren a feature where we look behind the books. Today's topic is The Real Me and I'm combining it with the Reading Habits Tag. I was tagged by Tina over at Novel Meals and I think these two should work together. 1. My favorite color is green. I have to make an effort to not choose that for everything - clothing, paint colors, household items, jewelry, etc. 2. I'm very much a homebody. Given the choice I would stay at home about 95% of the time. If I spend to much time away from home I start feeling frazzled. On the flip side we're planning a little vacation for September and I'm really excited about it. 3. Without contacts I'm virtually blind. My vision is really really bad. Like a prescription of -10 bad. Forget not being able to see the big E, I can't even seen the chart. Luckily it's fully correctable but it's a little weird to think if I'd been born 100 years ago I'd be considered blind. 4. I'm a night owl. I stay up to 12 or 1 most nights and could probably stay up longer except I make myself get up at at 7 most mornings. 5. I'm a total TV junkie. I love TV - crime dramas, true crime, anything food related, book related Hallmark/Lifetime movies, My To Watch list is almost as long as my To Read List! While this is still book related I think a person's reading habits show a lot about them so I thought I'd share mine. I do most of my reading in my bed but I'd really like to do more reading in a big comfy chair in the living room. However, with the Tornado still being little I don't do much daytime reading! I usually use a bookmark. My first choice one is one that Emma made for me when she was in kindergarten (she's leaving for college in 2 weeks) and if I'm already using that one I have a set of owl bookmarks that are next. I have been known to use a random piece of paper but that doesn't happen very often. I normally stop reading when I'm so tired words stop making sense but I do like to stop reading at the end of a chapter. I try not to eat because when I'm reading I don't tend to pay attention and could eat an entire bag of chips without realizing it. I do have a drink with me - generally Diet Coke or herbal tea depending on the time of day and my mood. I like to have music on while I read but it's not necessary. I can read with the TV on if it's not something I'm super interested or if the book has really hooked me. I have at least 2 going at once - 1 ebook and 1 print book but I usually try and do separate genres so I don't get confused. Most of the time I read at home but that's more necessity than preference. I don't like to read if I'm somewhere with the Tornado as I get too absorbed. Silently unless it's too funny or interesting not to share. It depends. If there's an animal or a child in a thriller I've been known to flip to the back and make sure they're still around in the ending. Sometimes I skim a scene or two if something's dragging on a bit too much. I'm not super picky about this - probably because the majority of my books I've gotten used. Absolutely not! I wrote in a cookbook once and I still don't feel quite right about it. and anyone else who I missed but wants to do it! Description: Frontman of the grunge rock band NightHawk, Gideon Hawk has had enough of the rock star life. He is jaded, disillusioned, and haunted by the memory of an unresolved heartbreak. On a whim, he leaves the band in New York and heads to England in search of answers. After attending the funeral of her estranged mother, Abigail Thomson makes a shocking discovery in her parents' attic. The still-raw memories that surface, along with even more startling discoveries, force Abi to face a devasting truth that leads to a series of life-changing events. She and Gideon must race against time to reclaim the life stolen from them a decade before. Abi saw the car as she came along the main road. There were never many tourists around in November, and to see a strange car parked in the lay-by was worthy of a second glance. Probably someone who got lost, she thought to herself as she turned down her track. She had spent the day with one of her clients in Penzance, sorting out the artwork for their new marketing campaign, and she was very glad to be home. She had lit the fire before she left the house that morning, and the chimney was smoking cheerily as she got out of the car and headed for the front door. As she turned to close it behind her, she once again noticed the strange Range Rover parked on the main road. She paused for a second, then shivered and closed the door. For some reason the sight of it had given her a little chill in her heart. She shook her head in exasperation. What was she turning into? The events of the past week must really be taking their toll. She tossed her jacket down on the sofa and went into the kitchen to put the kettle on. As anticipated, the little cottage was very warm and cosy, and Abi anticipated a lovely warm relaxing evening. Although she was very fond of her friend and neighbour, she couldn’t help hoping that Chris wouldn’t pop over. She really fancied a night to herself. She made a cup of tea, cut herself a slice of cake, carried them both over to the fire, and sat down on the hearth rug. A basket of logs stood to one side of the woodburner, and Abi opened the doors and tossed another log onto the already roaring fire. She gave a little shiver of pleasure. She really liked to be warm. She was going to enjoy the evening. She leant back against the sofa, extended her legs in front of her, and took a large bite of cake. No sooner had she done that than the doorbell rang. Abi rolled her eyes and tried to swallow her cake. “Come in, Chris, the door’s open!” she called, spraying crumbs in all directions. Abi leapt to her feet and swung round to face the door. For the last ten years she had dreamt of the moment when Gideon Hawk would appear on her doorstep, and now it had finally happened she had no idea what to do. For a few long seconds they stared at each other, neither daring to speak. Then Abi took a tentative step forward and nodded her head jerkily. This book is told in 2 different time periods - Abi as an adult in 2005 and Abi as a rebellious teenager in 1995. I found the modern day Abi really interesting as she tried to build a new relationship with her father as well as face some of the old and unhealed wounds from her past. Unfortunately I wasn't nearly as interested in teenage Abi. She was a seriously realistic 15 year old with the attitude and the naive-ness that they don't even know is there and she drove me absolutely nuts! I did do a lot of skimming through the teenage years and was always relieved to see the 2005 at the top of the chapter. 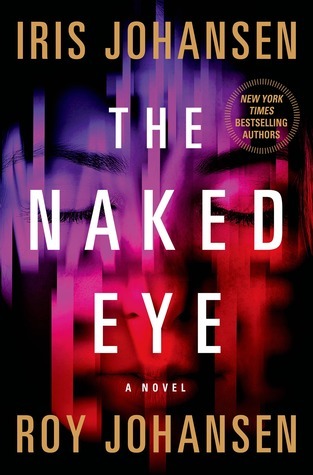 While this wasn't for me the pacing was good and I did keep reading because I wanted to find out what the secrets where and how Abi and Gideon dealt with them. This is the first book in a new series and I like that the other guys in the band will each have their own book. Thanks to Tout Sweet Tours for this book in exchange for an honest review. 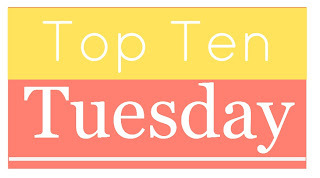 This week's Top Ten Tuesday topic from The Broke and the Bookish is Top Ten Fellow Book Nerds. Is there anything more fun than reading books with fellow book nerds in them? Here are a few of my favorites! 1. 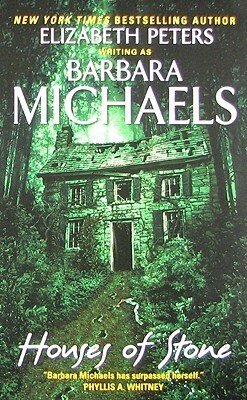 Karen Holloway from Houses of Stone by Barbara Michaels - Karen is obsessed with books both for professional reasons and just because she loves books. At one point she starts talking about how her family complained that she had books everywhere and it was hard not to relate! 2. Dana Steele from Key of Knowledge by Nora Roberts - Dana is a librarian who loves books of all kinds. She has an ex-boyfriend whose an author and what she does with his books is pretty funny. 3. Aurora Teagarden from the Aurora Teagarden mysteries by Charlaine Harris - My relationship with Harris has not been all sunshine and rainbows but the Aurora Teagarden books are a series I really enjoyed - probably because they're basically traditional mysteries. Plus there are 2 Hallmark movies based on this series that I have recorded and can't wait to watch! 4. Emily from The Book Scavenger by Jennifer Chambliss Bertman - Books are Emily's one constant in life as her family moves constantly and not only does she love books for the stories she contains but she actually plays a game called Book Scavenger in which participants find and hide books. 5. Tricia Miles from The Booktown Mystery series by Lorna Barrett - Tricia owns a bookstore that specializes in mysteries AND has a grey cat named Miss Marple. 6. 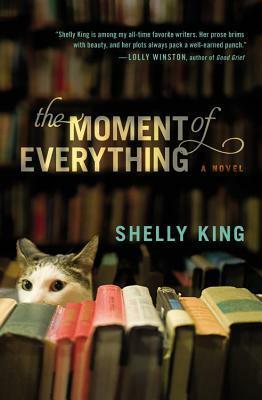 Maggie Dupres from The Moment of Everything by Shelly King - For starters I love that cover! Plus I like that you can tell that the cat is up to something because in the book the cat is kind of evil. I really enjoyed Maggie's character in this one. In response to extreme stress her response is to take up residence in a used bookstore and just read everything she can get her hands on. 7. Jill Gardner from Tourist Trap Mystery series by Lynn Cahoon - Not only does Jill own a bookstore but she spends a lot of time actually reading books which I love! 8. Phoebe O'Dunn from That Night on Thistle Lane by Carla Neggers - Phoebe is a librarian and has a pretty serious book collection. Plus she finds a hidden room filled with clothes in the attic of the library so how could I pass that up? 9. Aubrey Wellington from Once in a Lifetime by Jill Shalvis - Aubrey is another bookstore owner but she's not someone you would look at and automatically think bookish which I kind of liked. Plus I loved how much a source of comfort just being in the same room as books were to her. 10. Brooklyn Wainwright from the Bibliophile Mysteries series by Kate Carlisle - To be honest I can't remember Brooklyn ever actually reading in any of the books I've read but that's mostly because she's generally trying to catch a murderer, getting framed for a murder, or trying to protect herself or a loved one from a murderer. But she is a book restorer and her talk about the books she works with makes my mouth water. Who is your favorite bookish character? Only 2 books this week and one is for a blog tour that I signed up for a month or 2 ago so it doesn't count. Listening: Nothing yet. I'm thinking I'm going to start slow once school starts back and I start listening again. Maybe a David Sedaris or something else on the humorous side. You cannot have a king size bed, a bathtub, full sized appliances and lots of storage space in 200 square feet. You do not want a tiny house, you want a TARDIS. Other than that not a huge amount. Emma and I have been watching The Bachelorette in all it's train-wreckness and then I've been watching Next Food Network Star. I actually like most of the people participating this time (Food Network Star not Bachelorette) which is kind of nice. This is actually Paul's last week of summer! His school starts back next Monday. The Tornado has an extra week but he starts back in 2 weeks. It's hard to believe summer is already over. I'm looking forward to being able to get more things done but I will miss this. We/ve had a great time this summer. We did a little swimming this week and went to the Space and Rocket Center twice. I had the opportunity to be there when Bobby and Jamie Deen were there back in April filming their Food Network show Southern Fried Road Trip. They were very nice and incredibly professional but mostly it was just fun to watch the behind the scenes shooting and even more fun to see the finished product when it aired on this past Monday. Also, this week I got back into cooking a little and made these BBQ Chicken Burgers. I love anything burger related and I'm also pretty fond of barbecue so the 2 together is hard to pass up. The burgers were good but the sauce was a standout. I always taste a little bit of the sauce before I put it on food and I could have literally eaten this one with a spoon. I accidentally added an extra tablespoon of brown sugar but it really worked so I think I'd do that again. Adam Richman is one of those foodie TV personalities that I recognize but could tell you literally nothing about other than for very vague reasons my thoughts are positive. I'm guessing I saw an interview or two of him on Food Network or something and liked him but I haven't actually seen his show. However, if this book is indicative of what he has to offer that will definitely change. The book is almost scrapbook style. In addition to the pretty solid amount of recipes there's lots of pictures and little notes stuck in margins with notes, tips, favorite restaurant suggestions and just bits and pieces of other things. It's fun to flip through and several nearby restaurants that I haven't tired yet have made it on the list. The food is interesting without being over the top in difficulty or weirdness. There's a Twice-Baked Sweet Potato that literally made my mouth water with it's bourbon-y, fontina-y goodness, a pizza recipe that's on deck for next weekend, Creamy Tomato Soup with Grilled Cheese Sandwich Dumplings is happening with all the green tomatoes in my garden suddenly ripen at the exact time, and the Kentucky Hot Brown Bluegrass Sandwich just sounds yummy! There's a few things I don't see myself making - suishi and kimchee for example - but those are few and far between and it's kind of fun to read how to make them. Today's recipe is fairly simple but don't be fooled by it's simplicity! This is a tasty pasta dish. Add the pasta and cook until slightly al dente (it should be a bit chewy). Reserve 1 cup of the cooking water, then drain the pasta in a colander. Over low heat, melt the butter in the same pasta pot. Add the pasta and 1/2 cup of the reserved cooking water, adn stir, adding more water if necessary. Add the cheese and pepper and stir until the cheese has melted and forms a creamy sauce, about 5 minutes. Serve with additional cheese. My changes and observations: Next time (and there will so be a next time) I won't grate the Romano up so fine. I used my microplaner and it was a little too fine and kept clumping together so I had a hard time getting it all to melt. I used black pepper right out of my pepper mill and while it may not have been 2 teaspoons it was a pretty good bit. Also, I wouldn't necessarily say this created a creamy sauce but more of a coating on each of the noodles so don't be expecting a really saucy pasta. I used fettuccine instead of spaghetti because that was what I had and I prefer it. The Results: SO good! It was so simple that it could work as a side dish with a seasoned chicken or whatever but I actually made it for a weekend dinner when I didn't feel like cooking. It was flavorful and filling without feeling super heavy. The recipe says it makes 4 servings but they were some seriously giant serving. The Tornado who is quite possibly the worlds pickiest eater ate 3 plates of it and kept talking about how good it is. This will definitely be on the short list for quick meals or a yummy side dish. 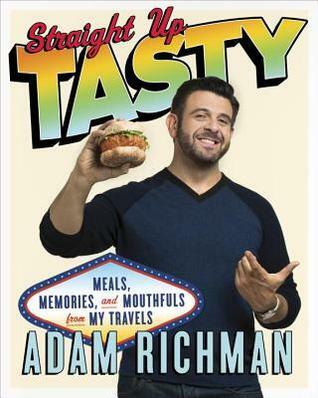 I'm definitely looking forward to trying more from Adam Richman and I'm hoping to hunt down some of his Man V Food shows on the Travel Channel. If he's half as much fun on the shows as he is in the book they'll be a treat. Do you use bookmarks? If so, do you match them to the book you're reading or use random scraps of paper? Yes for the first question and a little of both for the second! I normally have a couple of print books going and so I have several bookmarks that are always in rotation. I use a bookmark that Emma made me when she was in Kindergarten (she'll be heading off to college in a couple of weeks) as my primary bookmark and it's currently in an Agatha Christie mystery. After that in priority is a set of magnetic bookmarks with owls on them that my husband got me awhile ago. I've been known to grab receipts, index cards, reminder cards or random other scraps if needed though! 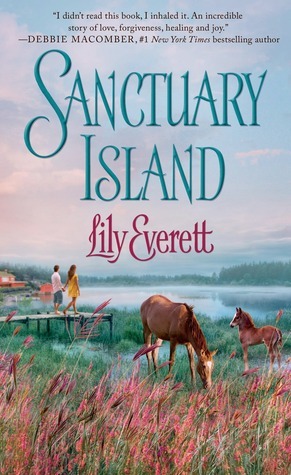 This week's book is Sanctuary Island by Lily Everett which is one I picked up at random at the library. This one grabbed my attention because the cover was pretty and I thought I remembered some positive reviews about this author. The blurb caught my attention so I thought I'd give it a try. I'm not very far in but so far I'm enjoying it. Oh I so identify with this beginning. I can't even begin to count the number of times I've felt this way! This is ridiculous, she thought despairingly. Why is this happening now, of all times? I have a feeling things aren't quite as extreme as Ella's making them out to be but I'm not here yet so I could be wrong. 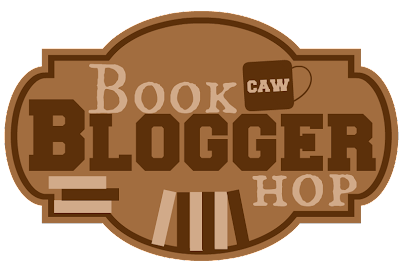 Today I'm really excited to be participating in the Beyond the Books feature hosted by Karen over at KissinBlueKaren. This is a meme that focuses on stuff about us bloggers that aren't related to books. 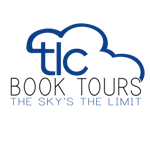 Today's topic is My Dream Career (or what I do for a living). Now I'm a stay at home mom which I actually love though I never would have believed I would 15 years ago. I can't imagine doing anything else. Before that I was a Systems Analyst who specialized in computer support and network security but I wouldn't say that was a dream job. In college I went into that field because I was good at it, I enjoyed it and I could make good money doing it but the considerations were far more practical than not. Now if I could do anything in the world with no thought to job security, money or anything else practical I would be a genealogist. I LOVE genealogy and have spent more than my fair share on Ancestry.com tracking down family lines. I love genealogy not to prove I'm related to some king or someone famous but because it proves a real peak at what real life was like at different times for regular people. I would love to really be able to research and hunt down family lines and records and all that. Plus I just love research and all the tedium that comes with it. If you could be anything what would you be? Description: American artist Jeremy Keane refuses to return home and take over his father's business. He'd much rather sample bevvies of beauties abroad, in search of a model for the provocative masterpiece he's driven to paint. 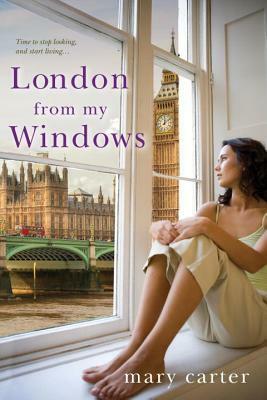 When he meets Lady Yvette Barlow at a London wedding, he realizes she's perfect for his work and determines to capture the young heiress's defiant spirit and breathtaking sensuality on canvas. Why I Picked This Book: Sabrina Jeffries is one of my absolute favorite authors in this genre. after the title. He was an interesting and unusual character so I was looking forward to seeing him in his own book. Yvette is also a familiar character as we met her and her brother when he was all set to marry Jane in If the Viscount Falls. As I expect from Jeffries the premise and the characters are interesting and unique. Jeremy and Yvette both want something from each other - Jeremy wants her to model for an unconventional painting and Yvette wants his help getting into a place no lady should go. They're fairly upfront and honest with each other though both has their secret pasts and pain. Much of the book takes place while Yvette is posing which makes for lots of very focused conversations and thoughts. While they do keep secrets from each other it does make sense. They're strangers when they meet and they don't really trust each other so I think it's pretty natural to not be spilling out your deepest fears and darkest secrets. These weren't my favorite characters in a Jeffries book and I did have some difficulty forming a connection with them. Yvette was too argumentative and defensive and Jeremy is so driven that it's difficult at first to really seem him in a romantic way. These are purely personal preferences however as both characters are well done. The plot kept me turning pages and while this wasn't one of my favorite books by Jeffries I'm really looking forward to Edwin's book and seeing where else the series goes. Would I Read More of this Series/Author? : Oh definitely! I'm really looking forward to the rest of this series. Would I Recommend this Book? : Yes, even though the characters didn't work for me this is still a good book and my issues were purely personal preference. Description: Seconds before the Earth is demolished to make way for a galactic freeway. Arthur Dent is plucked off the planet by his friend Ford Prefect, a researcher for the revised edition of the The Hitchhiker's Guide to the Galaxy who, for the last fifteen years, has been posing as an out-of-work actor. Why I Picked This Book: I read this book about 25 years ago and remember enjoying it so I really wanted to reread this. My Impression: This is all kinds of madness in the best possible way! 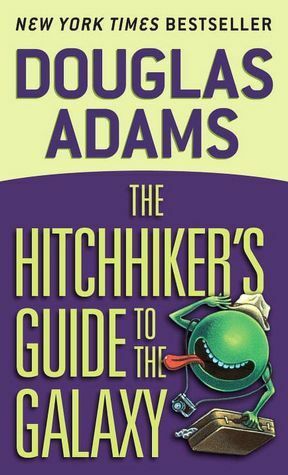 After reading this I'm not surprised that Douglas Adams wrote episodes of Doctor Who as the very dry humor and irreverent tone of Hitchhiker's Guide is very similar to the feel of many of Doctor Who episodes. I love the tone and humor of this book and it's definitely a story that stays with you even though there is no life lesson to be learned - other than be prepared and be willing to roll with whatever happens and even that's kind of a stretch. I loved Arthur and Ford and their journey through space was definitely entertaining. The end isn't really an end of a story but an end of a phase and I'm looking forward to continuing with the rest of the series. I know several people who didn't care for this book and reading it I can see why. There's a number of tangents that kind of go nowhere. While I found them amusing and adding to general feel of the story and the universe I can see people getting frustrated. Also, character development is on the light side. Even Arthur who is basically the main character has one primary emotion which is basically bewilderment. I'd really like to see more of Trillian/Tricia and am hoping that will happen in the next books. Overall, I found this to be a quick and thoroughly entertaining read. Would I Read More of this Series/Author? : Definitely! I'm looking forward to reading more of this series. Would I Recommend this Book? : Yes, I would though the style is so distinct I can see how not everyone would love this one. Description: When she gets the call, Nan Vining responds as a mother first and a detective second. Her daughter, Emily, has made a gruesome discovery in a secluded section of a Pasadena park: a pretty popular young teacher from Emily's high school and a bright yet troubled transfer student - both dead and bloody in a copse of trees. But the crime scene isn't the only thing that seems off to Detective Vining. There's also the cocky classmate who was with Emily in the park - the boyfriend she never knew about. What else doesn't she know about her daughter? As she attempts to channel both her maternal and investigative instincts into one single point of focus, Vining's superiors at the Pasadena Police Department are moving at lightning speed. Before the evidence has even been processed, the case is closed as a clear-cut murder/suicide: a disturbed teenager murders his teacher, then takes his own life. Vining doesn't buy it. Now she's chasing dangerous, powerful people with secrets they would kill for - and taking them down means risking her own flesh and blood. Why I Picked This Book: The blurb caught my attention. I've been wanting to read more thriller type books lately. My Impression: I believe this is the fifth book in the Nan Vining series and while there are a number of hints about things that happened in previous books I didn't feel like not reading the previous books kept me from enjoying the story or understanding what was going on. 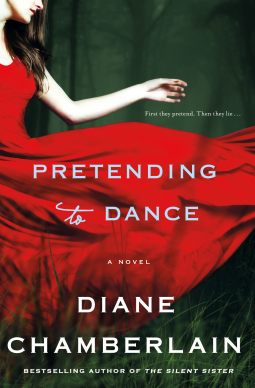 This book begins with a bang as Emily and her boyfriend stumble over two bodies and Nan is immediately drawn in - first as a mother to comfort her daughter and second as a detective when she realizes something is seriously wrong with this investigation. There was a lot I liked about this book. Nan is smart and quick on her feet but not always right and doesn't automatically know everything. Her relationship with her daughter is great at times and rocky at other times which felt very natural given Emily's age and their past history. The pacing was good. It definitely hooked me and kept me turning pages wanting to know what would happen next and how everything would turn out. The character development was very good - especially considering the genre. My heart broke for Jared's mother and for Nan as she struggled to protect her daughter. There were times I wanted to reach into the book and tell Nan to loosen up but at the same time it was easy to understand why she was so tense. I enjoyed it to the end and loved seeing everything unravel. My main problem was there was a LOT going on and I could have dealt with one or two subplot or troubled relationship less. There's police corruption, regular teenager angst, not so regular teenager crime, domestic violence, old conspiracies, new conspiracies, a somewhat overly enthusiastic stepmother, an aggressive lawyer stepfather, and a few other things. It wasn't that it was difficult to keep up but more that I personally prefer my stories a little simpler. 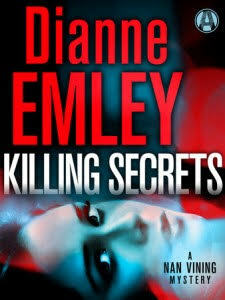 Overall, this is a well paced mystery with interesting and realistic characters. Would I Read More of this Series/Author? : I would. I'd like to go back and read some of the earlier books in the series. Would I Recommend this Book? 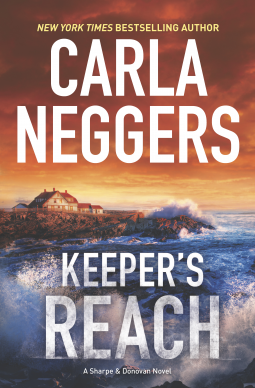 : If you like a mystery with a little grit then I think you'd enjoy this. Operation Slow Down Book Acquisition had another hard week but I'm getting back on track! I have no pending book requests, my paperbackswap account is on vacation mode, and I'm only expecting a couple of blog tour books. 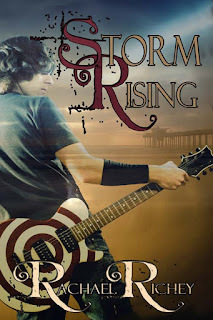 Baker's Blue by Judith Ryan Hendricks - I got this one for an upcoming Blog Tour and I'm really exciting. 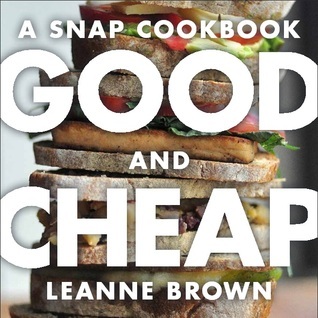 I love a good foodie book and from the few pages I've read I love the feel of this one! 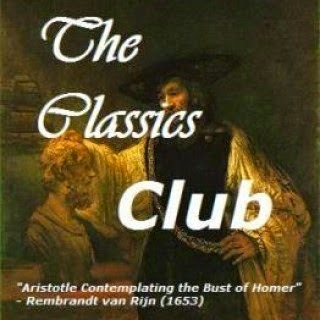 Listening: Still nothing but I've been haunting my library's digital site to pick out what I want to listen to next! Watching: Tiny House Hunters is still entertaining me. J and I watched one the other day where the couple wanted a hallway and weren't willing to give up their king sized bed. What they really wanted was a TARDIS - small footprint but bigger on the inside. I've also got a couple of Island Hunters because I want to know how one shops for an island. If you can't tell I'm in an HGTV phase! I've been feeling like I'm on the verge of coming down with something all week. Nothing really wrong but a scratchy throat and a headache I can't quite get rid of. The Tornado has been really whiny this week so I'm wondering if maybe he feels the same way and we've both picked up some bug our systems are fighting off. Neither of us are sick very often and I must say I'm not loving this! I'm trying to get ready for the coming school year. The Tornado will be starting kindergarten though he'll be staying in private school which has a much shorter day. It also doesn't require to many supplies so I don't have to join the school supply hunt madness. Paul will starting his senior year but only has to go half days. So really all we have to do is get Emma's stuff together and then to her dorm room. It's hard to believe we are less than a month away from that! I couldn't resist the concept of this one - good food that was inexpensive to prepare? Sign me up! We'll be paying 2 college tuitions this year and I'm definitely looking for ways to cut expenses.I'm always a little hesitant about cookbooks that focus on budget though because in my experience they can rely on cans of cream of whatever or mixes. There's nothing wrong with that it's just not my preferred food. But the cover look intriguing and when have I been known to resist a cookbook? 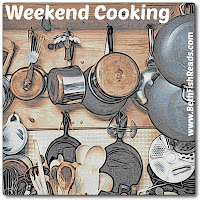 To start off with we have the normal chapters that seem to be the standard for cookbooks - what kitchen equipment you need and what the pantry must haves are. What I really liked about this one is that the equipment is relatively inexpensive and multi-purpose. There's no stand mixer or lots of specialized stuff. It's things like a good chef's knife (okay this one can get pricey), cutting boards, measuring cups, and casserole dishes. It'd be a good guide for someone just getting out on their own. There's also a page on smart shopping and while I didn't find anything groundbreaking I think it would be really useful to someone starting out and trying to get the hang of menu planning and budgeting. Cut a grapefruit in half, sprinkle with brown sugar (either light or dark) and broil 3 to 8 minutes or until the sugar bubbles and reaches desired brownness. The book has it in actual recipe format but that's the basic idea. Also in breakfast is a chart for different flavored oatmeals that look really fun. There's standard Apple Cinnamon all the way to Coconut and Lime as well as a more dessert themed Baklava. There's also a lot of more international offerings such as a recipe for Dahl in the soup chapter, Bubble and Squeak in the Small Bites, and a delicious sounding Filipino Chicken Adobo in the Dinner chapter. The Pantry chapter has recipes for pizza dough, tortillas, flavored oils and a number of different sauces. Each chapter offers a number of options for Vegetarians that would be great for Meatless Mondays for non-Vegetarians. There's lots of lovely photographs and most recipes have not just the cost per serving but the cost of the entire recipe.